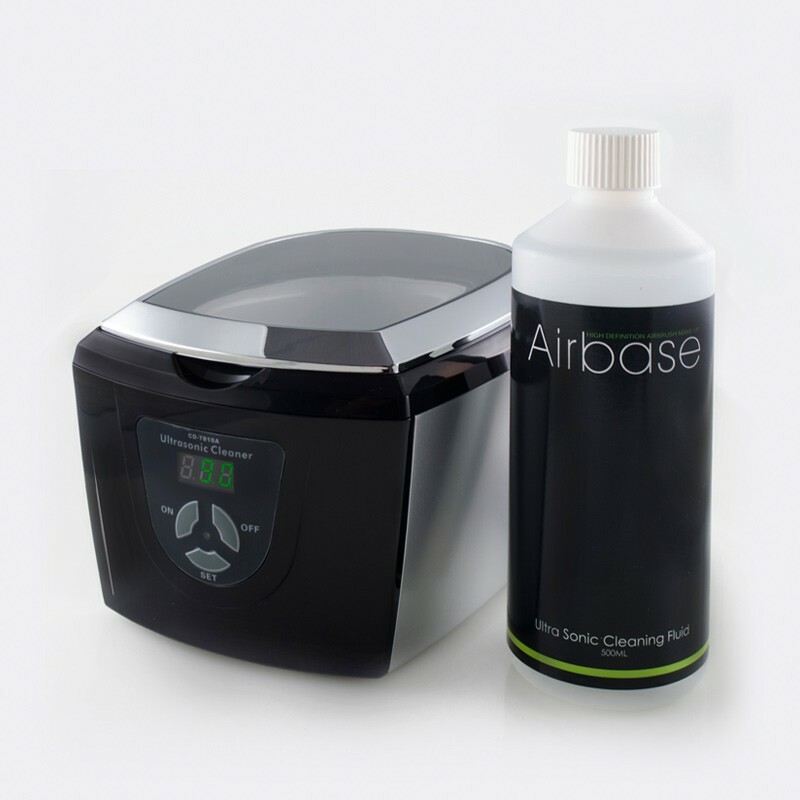 Clean your airbrush quickly and easily with the Airbase Ultrasonic Cleaner. This no fuss cleaner will help ensure clogged airbrushes are a thing of the past. Simply fill the Ultrasonic Cleaner with 500ml of Airbase Ultrasonic Cleaning Fluid and perform either a Quick Clean or Deep Clean to keep your equipment in tip-top condition. Also great for your jewellery too! The Ultrasonic Cleaner comes with 500ml of Ultrasonic Cleaning Fluid.